Burl A. Simpson was called to be with our Lord and Savior December 2, 2018. Burl was born on June 5,1940 to his parents, William Jesse Simpson and Mabel Estell Crane in Fort Worth, Texas. Burl was the youngest of four brothers and proudly served in the US Army as a hospital medic stationed in Germany from 1963-1965. He graduated from Castleberry High School in Ft. Worth, TX. He attended Lakeside Baptist Church where he met his bride Patricia, and they married on July 29, 1967. Burl and Patricia started a family with the birth of their loving daughter, Susan Renee. Burl drove a wrecker, 18 wheeler, and worked many years at a paint & body shop. He had a tender heart, great sense of humor, and was especially witty. He took care of his wife for many years, during her long battle with breast cancer. He was a wonderful cook, and loved his biscuits and Spam (aka “slam,” as he called it). He developed a love for adult coloring and painting during the last year of his life- he discovered Hobby Lobby and couldn’t get enough of it! He started wood work projects, painting birdhouses, drawing on canvas, and spreading glitter to his hearts content; his inner crafter had come alive and he really enjoyed being creative. 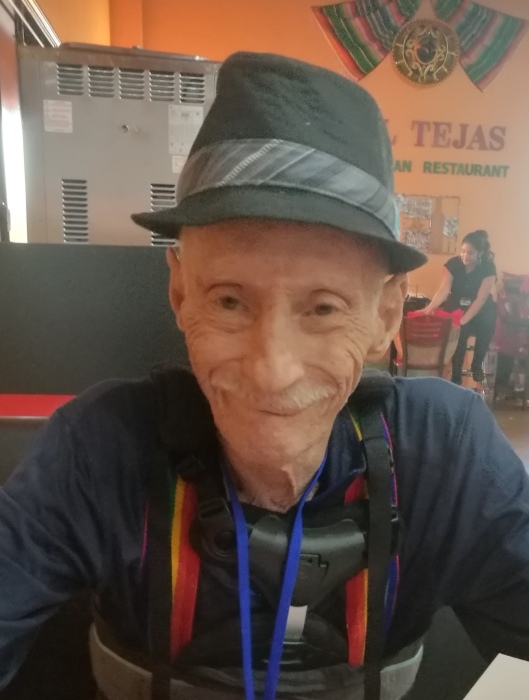 He wasn’t much for watching television, but instead loved his blue grass and gospel music, which is what he listened to for comfort, joy, and inspiration. He was so impressed by others musical talent and wished he could play a banjo or mandolin instrument, which he purchased recently because he’d always wanted one. He was gentle and humble in spirit, yet also strong and courageous! He had many challenges, especially with his failing health over the past few years, but he never let it stop him. He pressed on despite his pain and discomfort to enjoy what life he had left. He was diagnosed with lung cancer back in September and had wanted to pursue treatment options, but was too sick otherwise to withstand chemo or radiation. He didn’t realize how sick he was and that his life was very limited. He didn’t seem to grasp that he was in the final stages of COPD and metastasized lung cancer. He finally understood the reason he was in constant pain, 7 tumors that were ravishing his body. He started to lose his voice back in October and wanted so badly to regain it, but it never return. This caused him a lot of fear and anxiety, not being able to verbally call for help. He was placed on Palliative Care in mid-October and transferred to Hospice Care just before Thanksgiving. His battle with cancer was just beginning, but his advanced COPD is was caused his rapid decline. He will be truly missed by many. He was so funny and liked to make people laugh. Others came to appreciate his transparency and straightforward manner. He made many friends in the short period of time he was a resident at Lakewood Village senior community. He loved spending time with his daughter, son in-law, and 3 grandsons. He was a fun-loving grandparent, better known as papaw; he loved his grandchildren and especially enjoyed playing checkers with them. His memory and love shall remain with all that were blessed to know him. Burl is survived by his daughter, Susan Cornue and husband Steve; his grandsons, Jordan, Jaxon and Jace Cornue; his brother, Don Simpson and wife Mary Ann, along with many dear and close friends. Burl is preceded in death by his wife, Patricia; and parents, William and Mabel Simpson; brothers, Ben Simpson, and James Simpson.